These chilling words are those of Cooper (Matthew McConaughey), a former NASA test pilot who has recurring nightmares of a test-flight crash and who now, thanks to environmental destruction, is forced to till acres of corn farms. Mankind faces utter and total extinction with dust storms ravaging every square mile of the planet. The need for engineers simply isn’t there anymore – just the need for farmers. ‘Interstellar’ is the story of the raw, animalistic fire of the human consciousness to survive and to explore. Survival instinct, notes Dr Mann (Matt Damon), is what makes humans superior. The human ability to overcome the impossible, to aim higher, to smash through barriers and to make the unknown known. And in Jonathan and Christopher Nolan’s world, the human race has forgotten what this feels like. This is without doubt the Nolan brothers’ grandest film ever. Alfonso Cuaron’s ‘Gravity’ limited you to a tiny morsel on the ten-course meal that ‘Interstellar’ is. And if you thought that ‘Gravity’ looked spectacular, ‘Interstellar’ should blow you away. The sheer scale and grandeur of ‘Interstellar’ is one that no film has been able to achieve. Watching ‘Interstellar’ you will forget that the film has a run-time of 169 minutes. 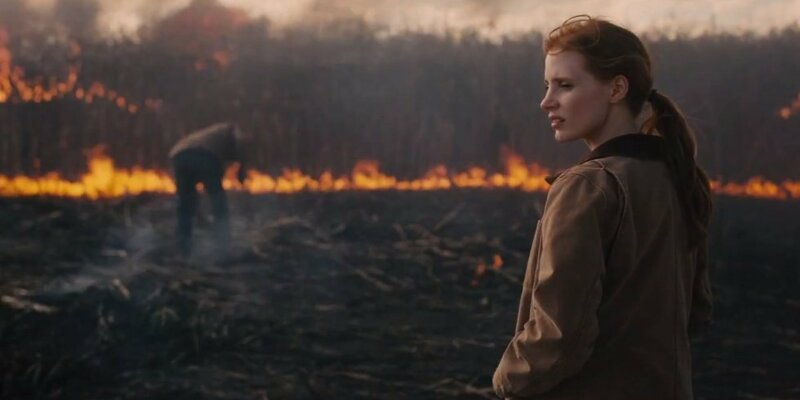 There is not a single moment where the script, Hoyte van Hoytema’s cinematography or Hans Zimmer’s score does not keep your eyes and mind riveted to the screen. Cooper’s son, Tom (Timothée Chalamet for young Tom) is fifteen and shows no aptitude towards the sciences. “He’ll make a great farmer,” remarks his principal – high praise in Nolan’s world. On the other hand, his daughter Murph (Mackenzie Foye for young Murph) is the apple of his eye and shows massive promise at the age of ten, being able to understand various scientific concepts and communicate in Morse. Much to her father’s annoyance, though, she seems to believe in the supernatural. Think about the most mundane thing that tingles your spine with excitement. Multiply it by a hundredfold. That’s the sheer desire of Cooper to break away from his bleak existence on Earth, because “our destiny lies above us”. And when the choice comes to leave – to try and save his family – he grabs it with both hands, opening a rift between him and Murph who refuses to speak to him for decades. The effects on Tom are drastic as well. He becomes the polar opposite of Cooper, refusing to leave his house permanently under any circumstance, fearing he might become his father. 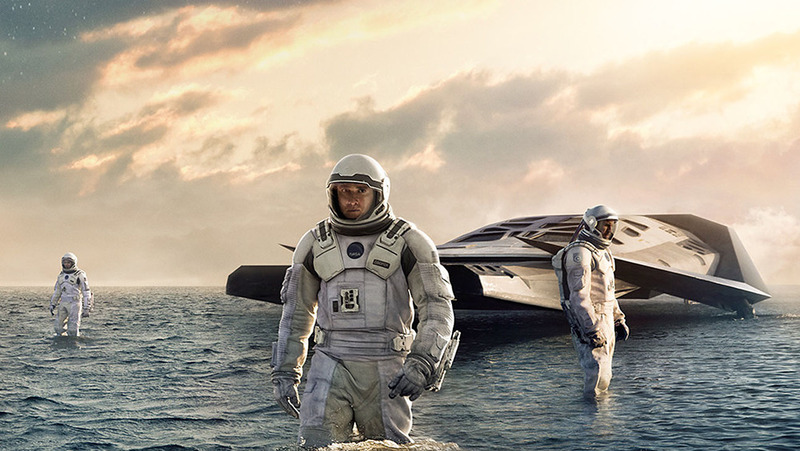 The cornerstone of ‘Interstellar’ is not the space exploration, however. It is the delicate relationship of father and daughter, upheld thanks to the fantastic cast that makes you believe their emotions. The emotions hit you in the chest full-force when McConaughey weeps upon realising he’s been away for twenty-four years in Earth-time, after spending just a few hours in an unexplored planet. It is also beautifully represented by Professor Brand (Michael Caine) and his daughter (Anne Hathaway). The science of this movie is crafted under the guidance of physicist Kip Thorne, but you are not going to understand it and some might turn their noses up in disgust at it. To enjoy this movie, a certain level of suspension of disbelief is imperative. Wormholes are explained using Madeleine L’Engle’s explanation in ‘A Wrinkle in Time’, black holes are traversable, fifth-dimensional beings exist, etcetera. You get the picture. The picture painted by ‘Interstellar’ features massive visual orgies – splashes of contrasting colour in wormholes, waves rising up to dwarf mountains, time represented as a floating chamber. With the staggering cinematography – for which there was no use of a green screen – also comes clear and present danger that Nolan’s experienced hand brings out to you. You never feel like you are watching a film; you feel that you are part of the spectacle. There are many references to other space-epics, with the final scenes drawing parallels with the ‘Star Wars’ hangars back in Hoth – R2D2 and all – but homages to Stanley Kubrick’s ‘2001: A Space Odyssey’ are rife (in a good way). Just like ‘2001’, you are treated to fantastical imagery in complete silence or with Zimmer’s surprisingly organ-based score. You even get HAL in a blockier, robotic form, voiced by Bill Irwin (TARS) and Josh Stewart (CASE). Even then, ‘Interstellar’ is distinctly Nolan. Fans of ‘Memento’, ‘The Dark Knight’ trilogy and ‘Inception’ will recognise the exposition, climax and conclusion of the film where the brain and the heart are poetically united. ‘Interstellar’ is a must-watch, and there is no escaping that. It will not allow you to be passive; it will not allow your attention to drift but will keep you bound to the exceptionally cathartic end. It is by far my personal favourite film, particularly because science-fiction is my favourite genre. It is brilliant on standard 35mm, but the best way to watch is undoubtedly on 70mm IMAX (dome or otherwise). So go and watch ‘Interstellar’. Instead of looking down and worrying about our place in the dirt, look up at the sky and wonder at our place in the stars.